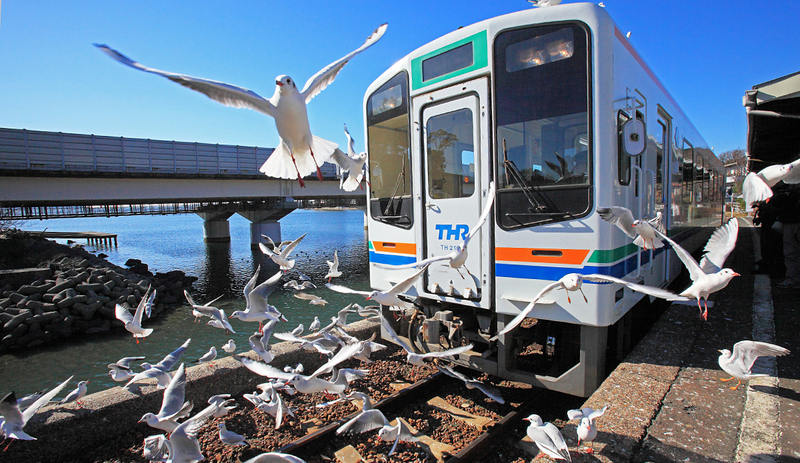 The brackish conditions of Lake Hamana are created by the opening at Imakiri, which welcomes in salty seawater from Enshūnada. The warm climate and mineral-rich waters help to cultivate over 800 varieties of marine life, including eel, soft-shelled turtle and seaweed, placing Lake Hamana as the source of greatest haul by volume in Japan. Surrounding Lake Hamana are Lake Inohana, Lake Hosoe, Lake Shōnai and Matsumigaura Bay, which spread out like an open palm, welcoming visitors to explore every facet of the area, from the tidal flats of the south to the watery depths (10～15m) of the north, and over the shore to the hiking paths of the Kosai Alps and beyond. The greatest charm of Lake Hamana is the depth and breadth of its waters cannot compare with the wealth and variety of experiences it can share. You know Spring has arrived once Lake Hamana is decorated in iridescent beauty, from the Sōryū Hanging Plum Blossoms of Mt. 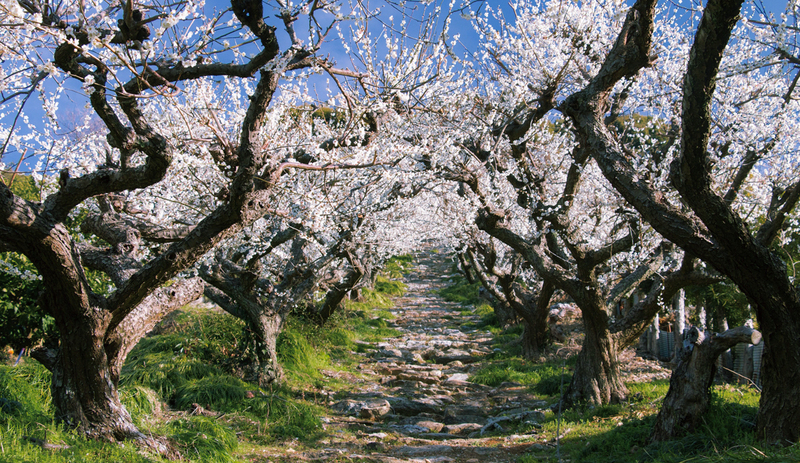 Ōkusa to the Plum Blossom Tunnels of Chōrakuji. At Hamamatsu Flower Park in Kanzanji, 1300 cherry blossom trees stand amongst over 130 varieties of tulip. In May, a warm climate paired with long stretches of nourishing sunlight welcome the first tea harvests of the year. There are several varieties to enjoy, such as Hamamatsu Tea, which comes from thick leaves that are heavily steamed, as well as Tenryū Tea and Haruno Tea, which are crafted from lightly steamed soft leaves. Springtime also offers visitors a chance to experience seine fishing along with career fishermen and get an up close and personal look at the Lake Hamana ecosystem. 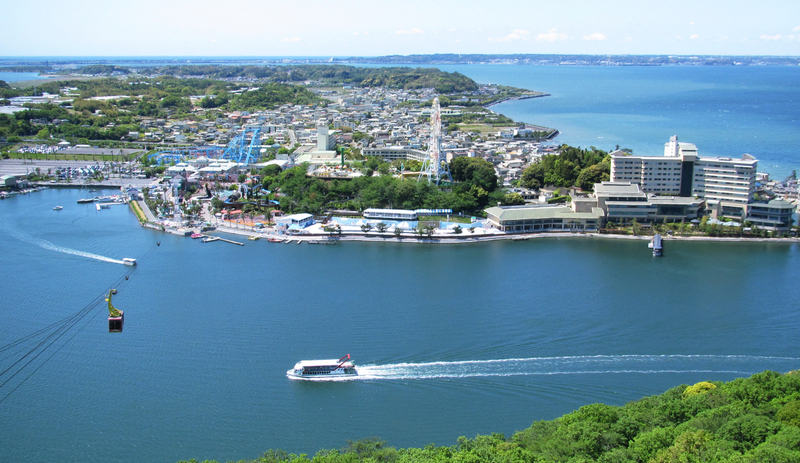 With its calm and inviting waters, Lake Hamana is a hub of summer activity, offering seawater bathing, windsurfing and kayaking, just for starters. Lake Hamana unagi eel, Enshūnada conger eel and the ever-elusive mangrove crab are all in season. When night falls, ride-along fishing boats, called takiya-ryō, illuminate the water, revealing fish, crabs and shrimp the visitors can help catch using traditional methods passed down since the early Meiji period. Freshly-caught seafood can then be enjoyed fried tempura style or with soy sauce as you drift gently. 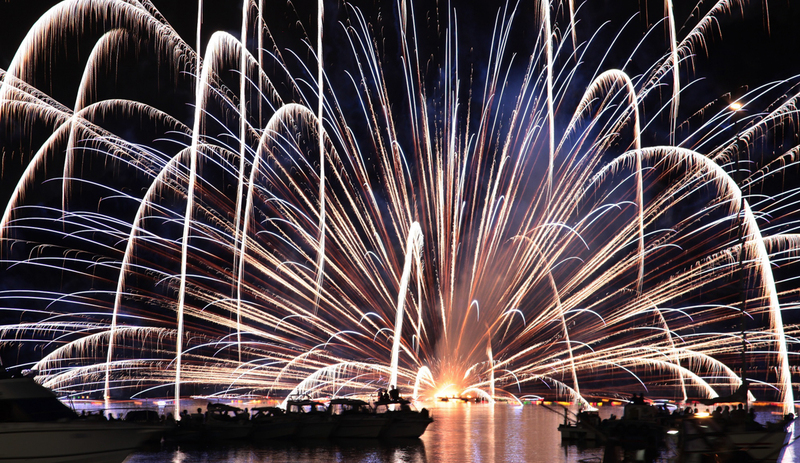 The biggest event of the summer is the Tōrō Nagasshi Hanabi Taikai, where 2000 paper lanterns are sent floating across the lake surface as the fireworks illuminate the night sky and echo throughout the basin. Deep within the Enshū region, mountains along the northern Lake Hamana basin turn fiery red with autumn leaves. Temple gardens within Hōkōji, Ryūtanji and Daifukuji, known as three of the “Five Treasures of Northern Hamana,” are truly a sight to behold. 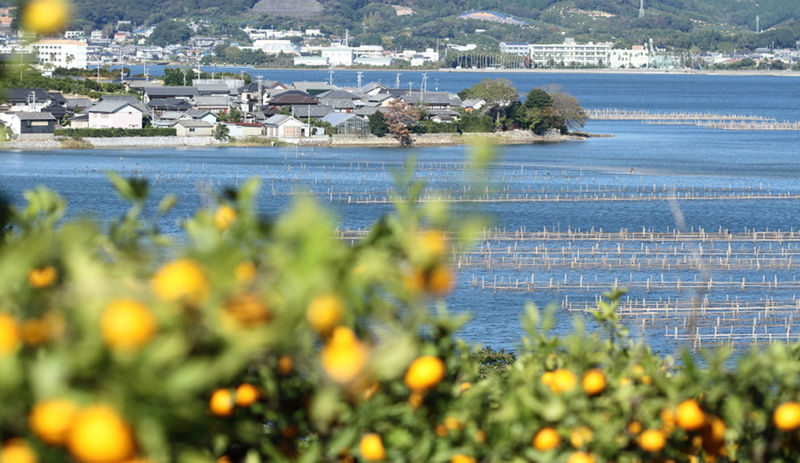 The nourishing soil along the slopes around the lake soak in the warm weather, quality water and ample sunlight to begin sprouting fields of bright, orange mikan. Visitors looking to pick some fruit can also find pione, pears, figs and more in ample supply. Autumn is also the season of harvest festivals, including the Maisaka Great Taikō Drum Festival, which has been held for over 400 years, where participants fiercely pound some of the world’s largest taikō drums-around 2.5m in diameter-to pray for abundant harvest. In winter, strong katabatic winds blow through Enshū from the northwest creating the region’s infamous wind chill. However, this crisp, clean air marks one of the best times to enjoy the beautiful natural tapestry that is Lake Hamana. Sunsets viewed through the Bentenjima shrine gate are breathtaking, and a snow-capped Mt. Fuji is often visible, weather permitting. The relatively warm climate supports a veritable paradise for traveling birds, with little terns, greater scaup, and other winter birds happy to dine on the lake’s buffet of marine life. Since 1958, Kanzanji Hot Springs salty seawater baths have warmed many a traveler, after which you ride the nearby gondola and warm your heart with a magnificent panoramic view stretching across to the Pacific Ocean. Whether immersed in a steamy bath or soaring through the sky, just sit back and let it all soak in.